Miami Criminal Defense Lawyer | Law Office of Michael Mirer, P.A. 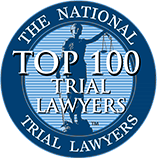 With over 20 years of trial experience and recognized as a Top 100 Trial Lawyer, Attorney Michael Mirer knows how to successfully challenge common prosecutor tactics and protect your freedom. Contact the Law Office of Michael Mirer, P.A. 24/7 to learn how we can fight for you and request your no-cost consultation! We handle virtually every type of criminal offense that a person may be accused of, in State, Federal, or Juvenile Court. When you work with a lawyer at our offices, we will use all of our knowledge and resources in the fight to protect your Constitutional rights and interests to the fullest extent of the law. Attorney Michael Mirer has extensive trial and courtroom experience, which includes over 100 trials. As a successful criminal defense lawyer with experience as a former Assistant State Attorney and former prosecutor, he has the background and knowledge necessary to give you the dedicated and effective legal counsel you deserve. We take your case seriously. Selecting a defense attorney is a decision that affects the outcome of your life. You can’t afford to get it wrong. That’s why you need the experience of Attorney Michael Mirer fighting on your side. Former Prosecutor. Proven Litigator. Diligent Defender. 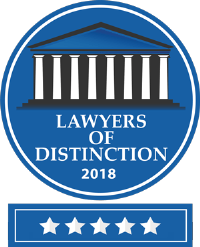 Attorney Michael Mirer is a nationally recognized Miami criminal defense lawyer who has earned among the most prestigious honors in the legal community. 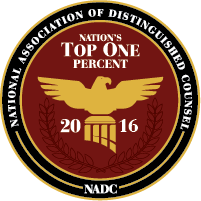 This includes being selected for the National Trial Lawyers: Top 100 Trial Lawyers (2014) as well as the Nation’s Top One Percent of Attorneys for 2015 (NADC). With years of experience as a former Miami-Dade Assistant State Attorney, Michael Mirer knows both sides of the court and has an incredibly unique perspective on the justice system. When facing life-changing criminal charges, don't risk fighting on your own. We're Ready to Stand Up for You in Any Criminal Case. Prior to entering his own private practice, Mr. Mirer was an Assistant State Attorney for Miami-Dade County, where he prosecuted all levels and types of crimes, and was ultimately appointed to the Career Criminal Robbery Unit. From DUI charges to violent offenses to crimes related to theft, there is no case too large or too small for the Law Office of Michael Mirer, P.A. to handle. 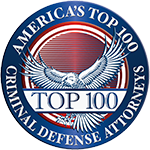 If you are interested in obtaining an aggressive defense for your criminal case in South Florida, do not hesitate to involve a member of this team.